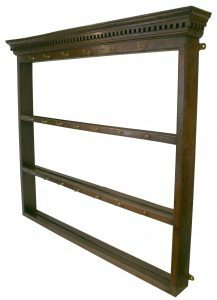 A George III oak wall hanging Delft or plate rack. 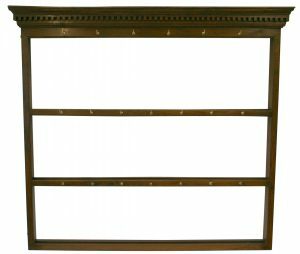 The moulded and dental work cornice sits above three graduated shelves. 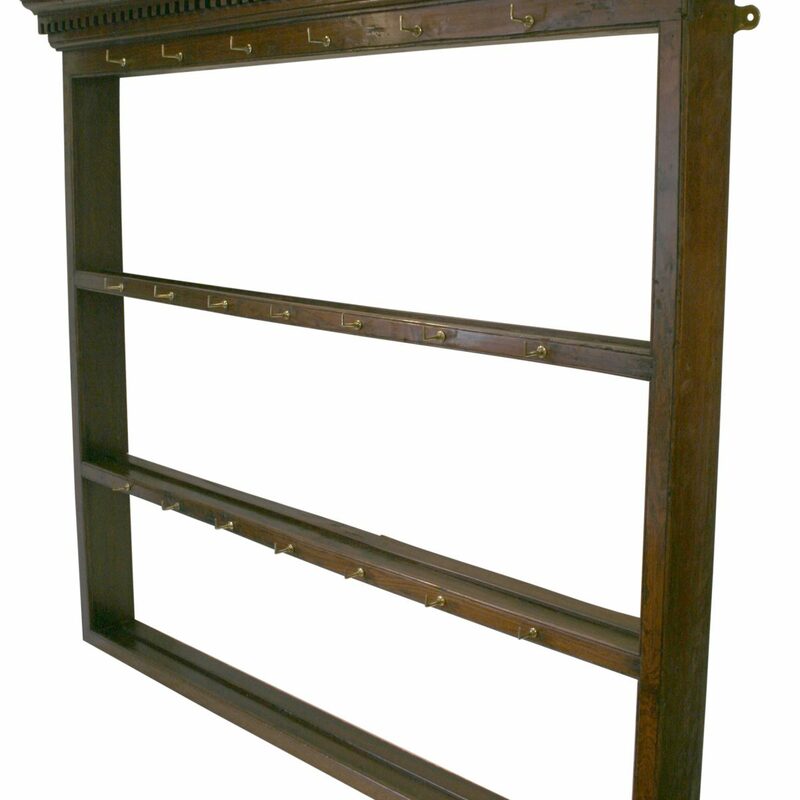 The shelves have twenty brass cup hocks fitted. 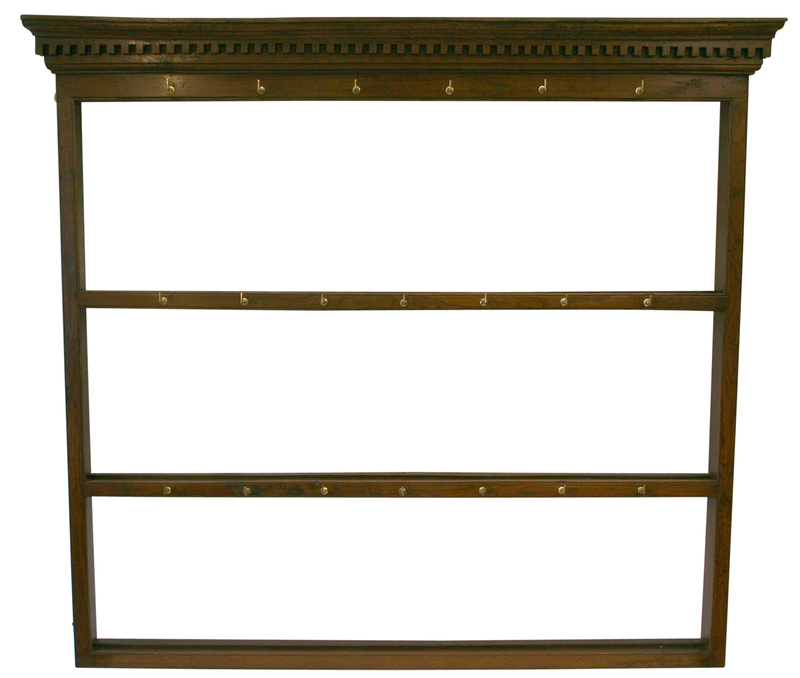 The fronts to the shelves and uprights have a simple screw scratch moulding around the outside edges.